Merry Holidays! 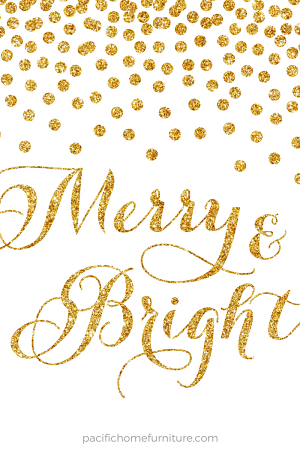 Here at Pacific Home Furniture we want to wish all of you a Joyful and Happy holiday season! 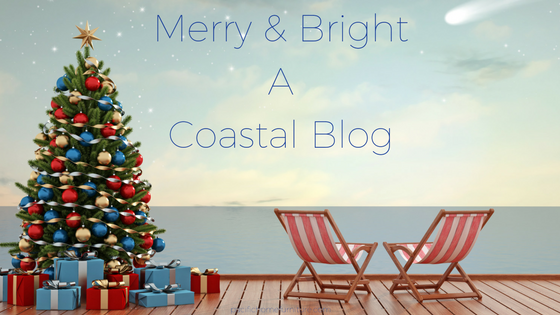 Enjoy our Merry & Bright Coastal Blog for some Happy Christmas Cheer! 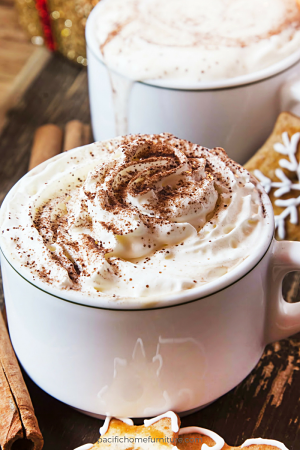 Have a fabulous cup of hot chocolate while you are reading this blog post. Recipe from bon appétit ~ Best Hot Chocolate. The holidays are different for all of us...here is what is on our hearts. Family and friends, sharing family time, giving to others and the community and all of our fabulous customers! This year we celebrated December birthdays decorating gingerbread houses. We had such a great time and took away some amazing memories! 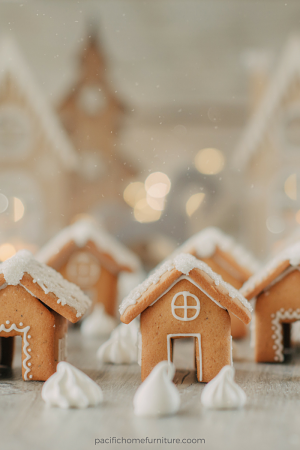 Has your family tried gingerbread houses? Most of us are having guests this holiday season? 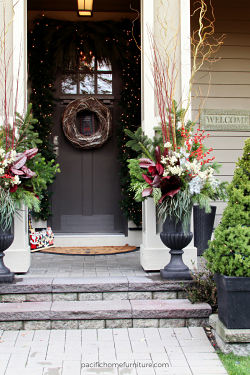 Welcome them with a warmly decorated front porch! What way do you welcome your guests? 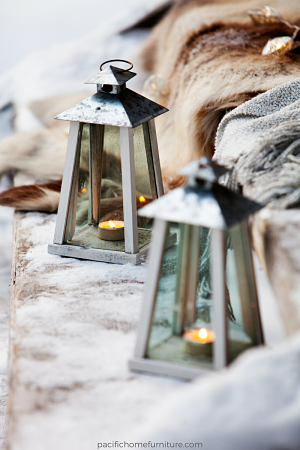 Light your pathways and steps with beautiful lite lanterns. Find them at PacificHomeLighting.com. Pacific Home Furniture's sister site! Lanterns can be used well after the holidays are over. Use them into the Winter and for Summer nights. 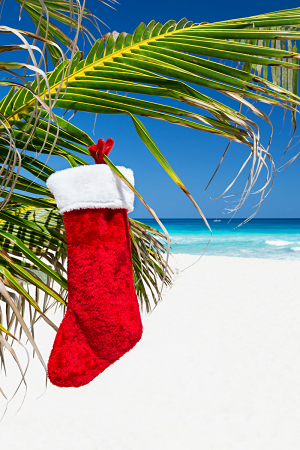 Don't forget to hang your stockings from the palm trees. The obvious choice for beach and ocean lovers! Thank you and we appreciate you taking the time to read our Coastal Blog! All of us here at, Pacific Home Furniture want to wish everybody a very Merry Christmas and the happiest New Year! Love to all of you! Reach us with your thoughts or comments at the bottom of this blog post or at, contactus@pacifichomefurniture.com. We always look forward to hearing from you! Find out more ideas for the holidays at Pinterest. Follow our Coastal Noel Board. We would love to have you join us. DISCLAIMER: The images you are enjoying do not belong to Pacific Home Furniture unless you see our logo.